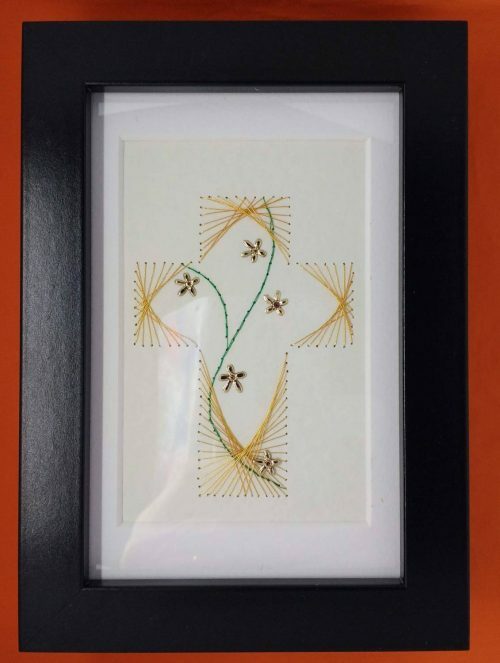 Handstitched gold cross with vines and flowers. Stitched in metallic thread. Framed in black frame 5×7 in(12×17 cms). Can hang on wall or be free standing. Beautiful gift for a Christening or Confirmation. This product can be personalised with a name and or date.